Thank you for your interest in Green Ox® Pallets, a viable alternative to costly, heavy, unsanitary, and inconvenient wood pallets. It’s proven. In 2012, IKEA implemented corrugated paper pallets across their worldwide supply chain and since then, they have reduced their carbon emissions by over 300 thousand metric tons, they now transport the same amount of goods using 15% fewer trucks, and they reportedly saved as much as $1 billion in four years due to efficiencies and reduced shipping expenses. Green Ox delivers. 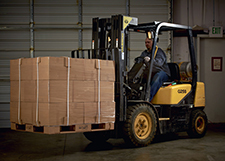 Looking to reduce your transportation costs? Needing an instant supply of pallets? Wanting to reduce product damage and employee injuries? Looking for an ISPM-15 exempt pallet option? Tasked with improving your company’s sustainability? Wishing there was a pallet that could be customized to fit your product? Green Ox delivers all of these benefits and more. 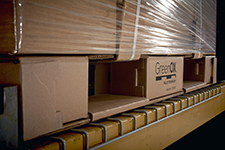 To learn more about how Green Ox pallets can improve how you handle, store, and transport your products, please email mike.mathews@greenoxpallets.com or complete the short form below.